ONE Championship, Asia’s largest sports media property with a global broadcast to over 1 billion homes across 75 countries, holds its first event in Manila for 2016 on April 15 (Friday) at the SM Mall of Asia Arena in Pasay City. ONE: GLOBAL RIVALS, which will be headlined by the world championship fight between American ONE Welterweight Champion Ben Askren and Nikolay Aleksakhin, Pro FC Welterweight Grand Prix champ, starts at 7 p.m. and features ten fights, seven of which feature Filipino fighters in various weight categories. Up first is April Osenio vs. Batalie Gonzales Hills in a purely Pinay encounter, in the Atomweight category, followed by Burn Soriano versus Sunoto of Indonesia in the Bantamweight category. Team Lakay’s Danny Kingad goes up against Muhamad Haidar of Malaysia in the Flyweight Division. Former ONE Featherweight World Champion Honorio “the Rock” Banario tackles Pan Asian Champ Vaughn Donayre in the following Lightweight fight. Featherweight Champion Martin Nguyen of Vietnam disputes the Featherweight title against Li Kai Wen of Beijing. Another All-Filipino showdown happens next –North versus South -- when Joshua Pacio, Grand Prix champ from Baguio’s Team Lakay meets Robin Catalan, National Wushu Champion from Mindanao in the Straweight category. In the Bantamweight Division Geje Eustaquio, Team Lakay’s Wushu Xanda champion tangles with Malaysian MMA hero, Gianni Subba, followed by Lowen Tynanes, Hawaiian Elite MMA champ, versus Koji Ando, Asia-Pacific lightweight champ from Tokyo in the Lightweight category. Plucky Reece McLaren from Australia, XFC Bantamweight Champion meets 19-year old Muin Gafurov from Tajikistan – the first Tajik fighter in an MMA promotion – also in the bantamweight category. 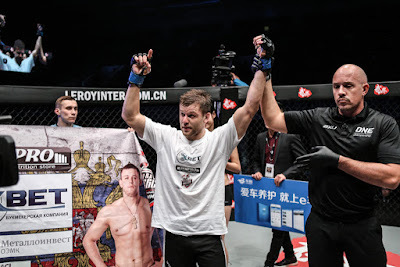 Askren, the acknowledged single most accomplished wrestler ever to enter the world of MMA, will defend his ONE Welterweight Championship title against Aleksakhin, the streaking Russian world champ, a known striker with a cruel choke move. "I owe the Filipino fans. The last time I was in Manila obviously the bout didn’t have the outcome anyone wanted and my opponent was a lot less than courageous in faking his eye injury. The Filipino fans were unfairly robbed of a good fight. They lost the main event that night. I have to do an extra dominant job on April 15th to make sure the Filipino fans get a fight made up to them that they lost out on last year." "You can look in my eyes, I’m honestly 100% not concerned about anything Nikolay [Aleksakhin] brings to the table. He’s not an elite striker. I face strikers who are twice as good as him on a daily basis at practice. He is not as good of a wrestler as me. Hell, I’ll let him take me down! He can take me down all he wants because once we get on the ground he’s in my world." 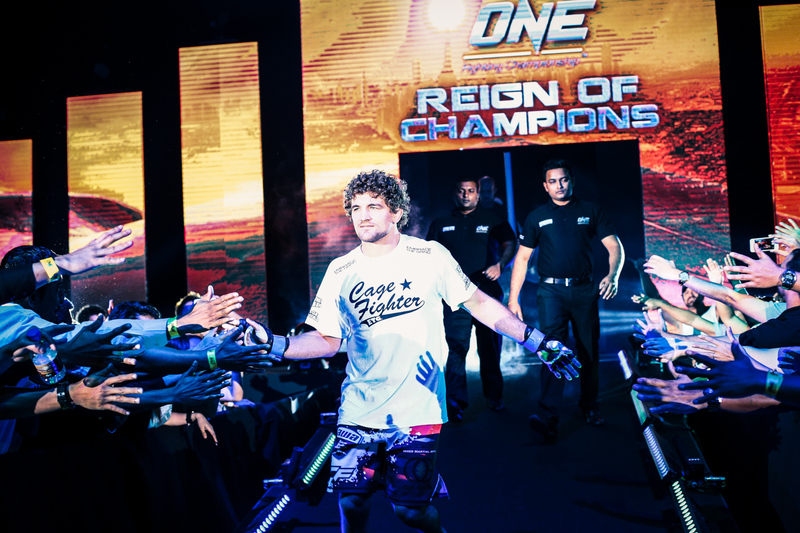 Askren and Aleksakhin are scheduled for a 5-round welterweight contest at ONE: GLOBAL RIVALS for the ONE Welterweight World Championship.